1. 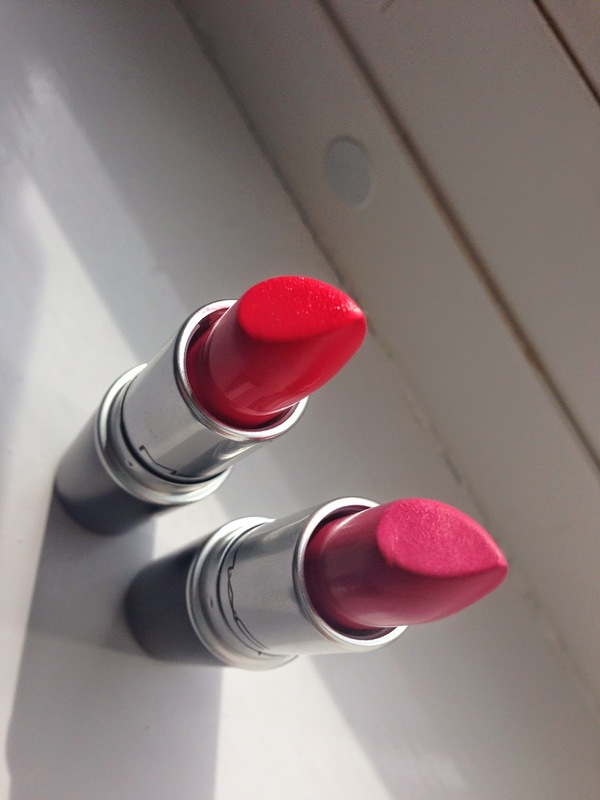 If you saw my London shopping haul you will see I bought Impassioned lipstick from Mac its such a pretty colour and its really long lasting. I had been using it none stop and i go to use it one day glide it on and it feels really rough ! I look and see there is something actually stuck in the lipstick !! really bazaar but i managed to tweeze it and and see it was like a really tiny bit of like grit ? after feeling very confused i decided to email mac and make a little complaint as i didn't want to pay £15 for something that now had a hole in. They got back to me pretty quick and asked if i could send them the lipstick for testing. They sent me a pre paid bag in the post so i could send it back and also offered for me to pick two new products !! Such a lovely offer and i was not expecting that at all. 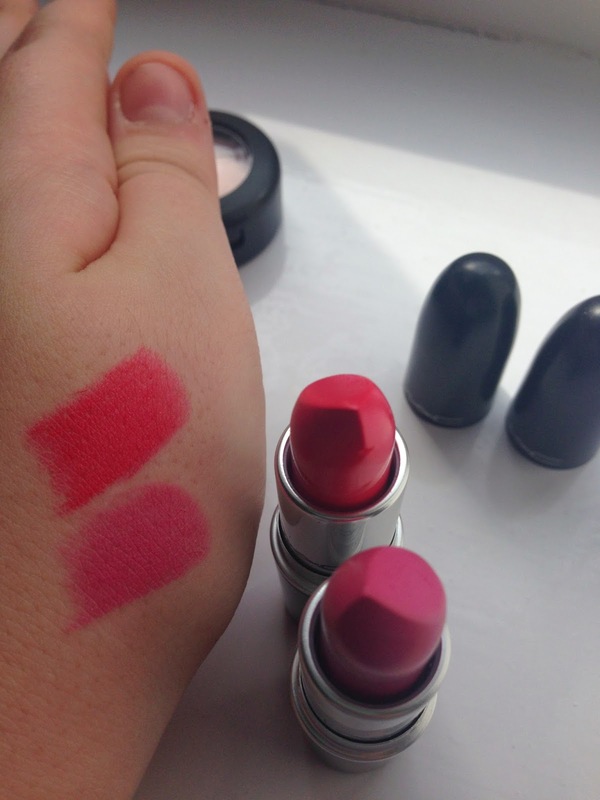 So I choose a replacement lipstick (same colour) and then a nice soft pink blush in the colour Fleur. these arrived really quick too so I was dead happy :D.
2. Story no.2 lol. Most people know about Back 2 Mac .. but incase you don't i will explain.. 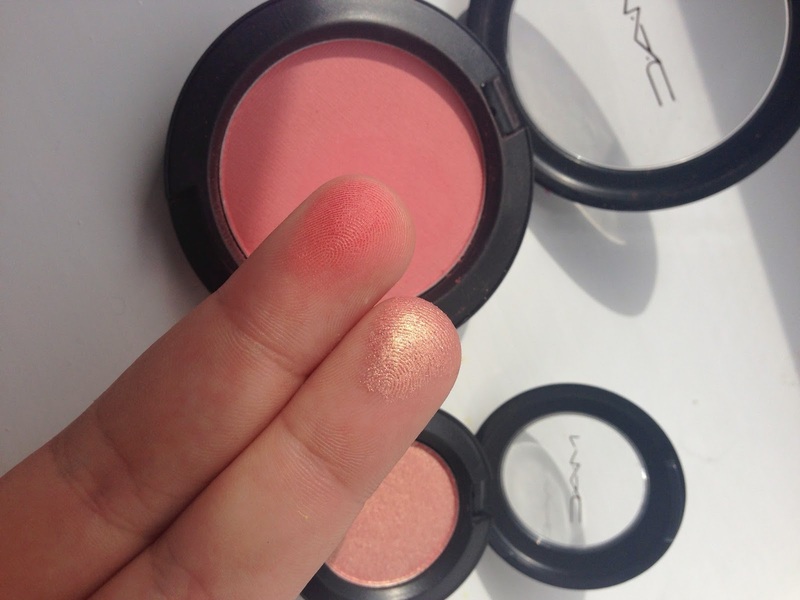 If you save 6 empty mac products you are able to take them back to any mac counter so give to them and in return you can have a lipstick free of charge in return ! 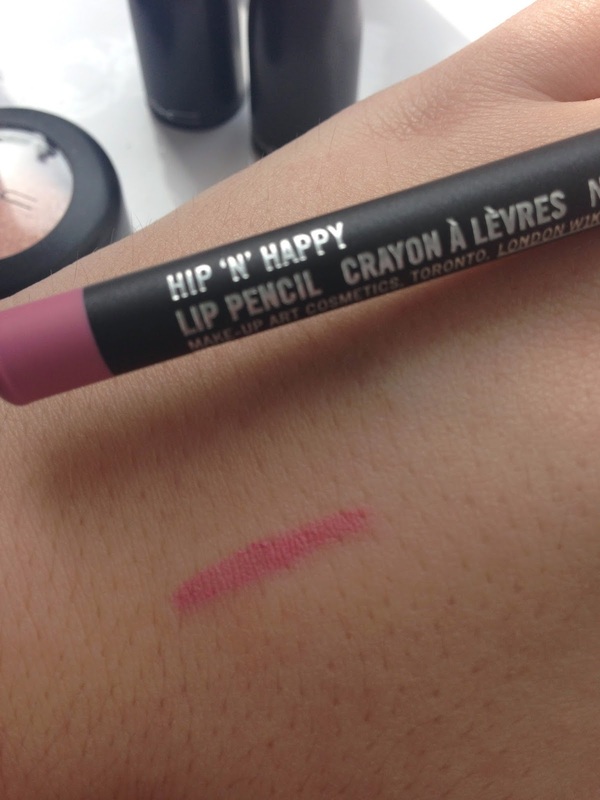 So i finally had 6 empties so I choose a lipstick in the colour pink nouveau. 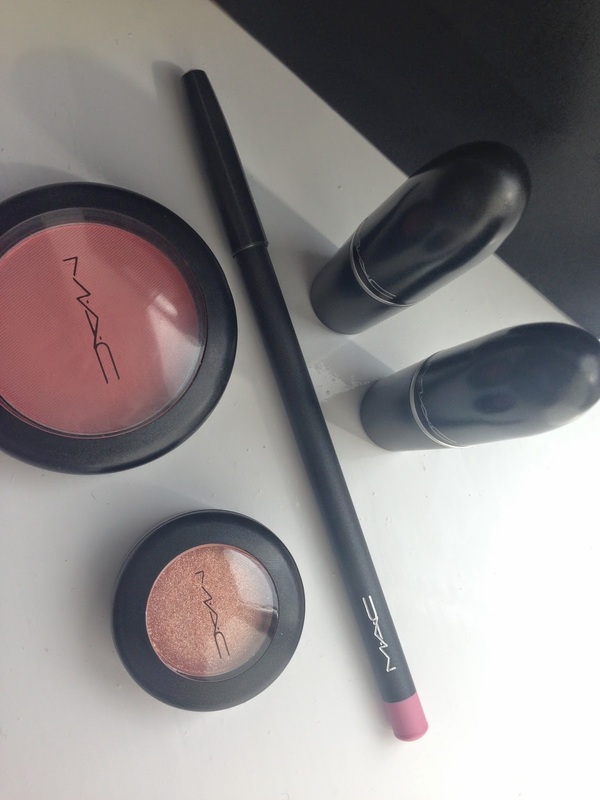 Whilst at the mac counter I also choose a eyeshadow and a lip liner! So after all the ramble now for the pics ..
Hope you liked this haul ! Let me know if you would like individual reviews !! The lighter lipstick is beautiful!!! Wish I could afford all this! 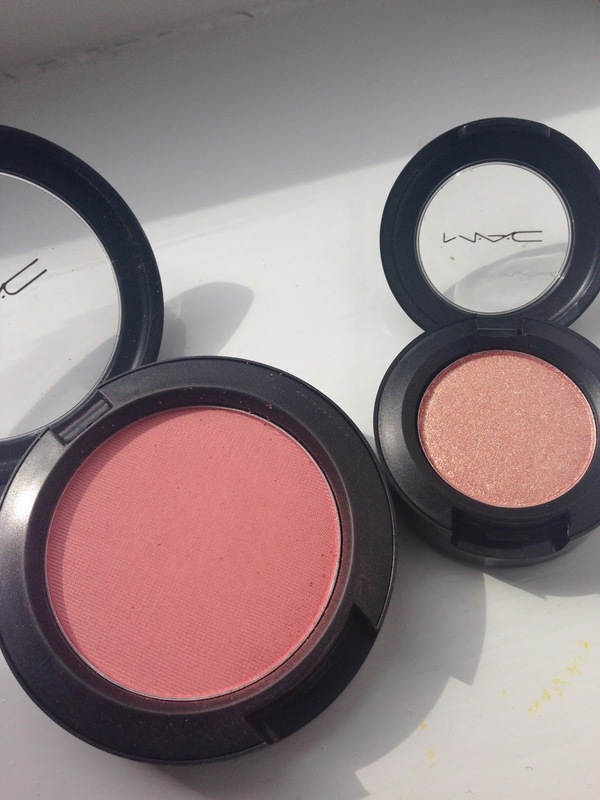 So glad you went to mac to let them know about the problem - its always my advice to people, most companies are brill are sending out replacements!